Buck Institute for Education is expanding. More resources. More workshops. More content, made even better because we’re receiving more and more input from teachers, schools and districts all over the country, all the time. Rest assured, the heart of our work - our thought leadership, our resources and curriculum materials, our excellent training and support services - none of that is changing course. It’s all part of PBLWorks. But PBLWorks will also bring you new services, tools, and resources, to support every stage of your PBL journey. Stay tuned for some big announcements coming later this year! Our new name communicates the laser-focus on Project Based Learning that we’ve maintained for over 20 years. It also refers to the fact that Project Based Learning works. 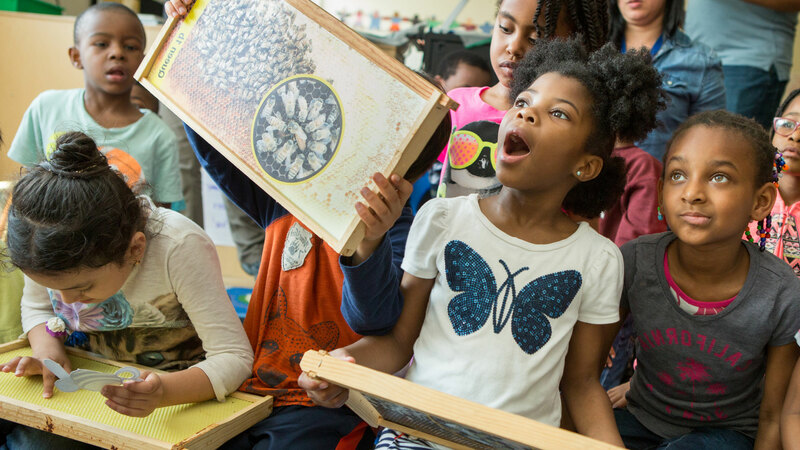 We see more evidence every day, through through emerging research and through our interactions with teachers and education leaders, that PBL works to transform students’ educational experiences. And finally, like an ironworks or a skunkworks, PBLWorks refers to the kind of place we are developing—one dedicated to the consistent creation of useful and innovative products and services. Buck Institute for Education still stands behind it all. Buck Institute for Education is the parent organization, and PBLWorks is our new brand name. PBLWorks encompasses all of the work we do, including services, resources, research, and events like PBL World and PBL Institutes. Our new logo brings things full circle. The PBLWorks logo is more than just a pretty face for our new brand. The two rings in “Works” are symbolic. The green ring represents growth, which Project Based Learning promotes. The color green is also associated with the heart, evoking the idea of a love of learning and personal connection. The color blue, which traditionally represents strength and stability, speaks to the intellectual and academic challenges that PBL offers students. The interlinked green and blue rings symbolize the way PBL blends content mastery, love of learning, and personal connection into the academic experience. With these elements joined, students achieve deeper understanding and greater retention of content knowledge, while they learn to take initiative, solve problems, and communicate ideas. Good projects engage students in learning that's deep and long lasting. Are you read to move from theory into practice? Then our PBL workshops are for you. Here's our guide to lead you into the world of Project Based Learning one step at a time.